PB9TTP-RomanSC font family series mainly provide Regular and other font styles. PB9TTP-Roman font family series mainly provide Regular and other font styles. PB9TTP-RomanFrac font family series mainly provide Regular and other font styles. PB9TTP-RomanLF font family series mainly provide Regular and other font styles. 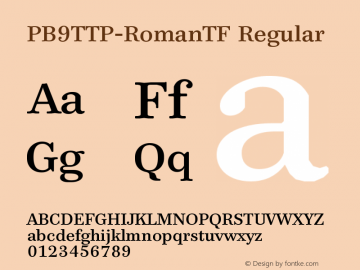 PB9TTP-RomanTF font family series mainly provide Regular and other font styles. PB9TTP-Bold font family series mainly provide Regular and other font styles. 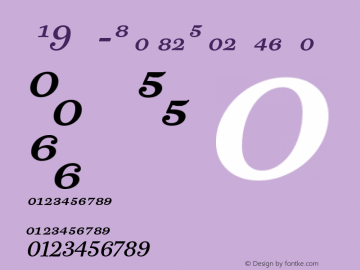 PB9TTP-Italic font family series mainly provide Regular and other font styles. 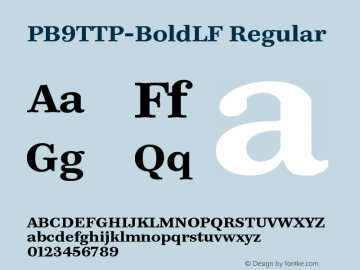 PB9TTP-BoldLF font family series mainly provide Regular and other font styles. PB9TTP-BoldFrac font family series mainly provide Regular and other font styles. PB9TTP-ItalicFrac font family series mainly provide Regular and other font styles.